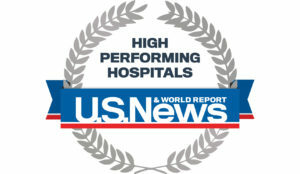 Cooper University Health Care was recognized as a top performing hospital for treating congestive heart failure in U.S. News & World Report’s 2018-2019 Best Hospitals survey. “This designation as a top performing hospital is the direct result of our dedicated team of cardiac specialists, advanced practice providers, nurses, and support staff,” said Phillip A. Koren, MD, FACC, FSCAI, medical director of the Cooper Heart Institute. The Cooper Heart Institute is the most comprehensive heart care center in southern New Jersey, earning national recognition for its superior quality and world-renowned team of cardiovascular experts. At Cooper, patients have access to a full spectrum of heart care from prevention and diagnosis to cutting-edge technology and innovative treatment. In January, Cooper and Inspira Health Network formed a joint venture to integrate cardiac services, known as Cardiac Partners. Cooper University Health Care is a leading health care provider and the only state-designated Level 1 Trauma Center in South Jersey. With a network of more than 100 medical offices throughout the region, Cooper is home to MD Anderson Cancer Center at Cooper and the Children’s Regional Hospital at Cooper. Cooper offers signature programs in cardiology, critical care, neurosciences, pediatrics, orthopaedics, and surgical specialties.